Enjoy deli-style food in your home Slice meats, cheeses and other foods to your liking with precision thickness control and a stainless steel blade. Maintain a stable workspace Slip-resistant feet prevent the slicer from sliding on your countertop. Safely slice your food A blade guard helps protect your hand while the slicer is in use. Enjoy reliable performance Cast-aluminum motor case and metal base ensure durability. 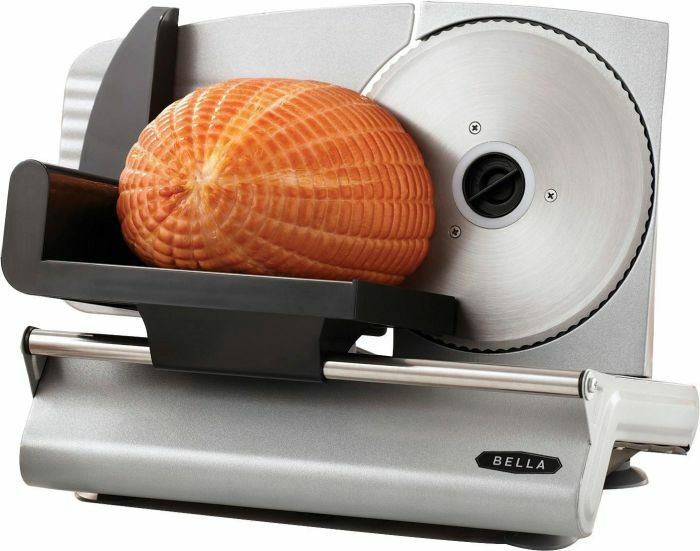 3 Comments On "Bella Electric Food Slicer For $29.99 Shipped Via eBay Daily Deals"
Possible to order a large ~5lb block/chub of smoked turkey from Aaron’s Best?